The Master Gardeners of ernalumni.com. 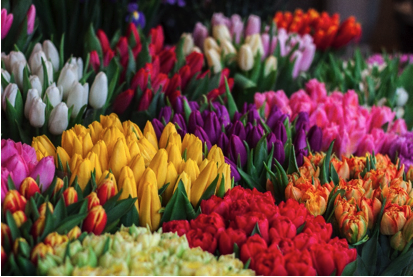 Natchitoches Parish will be have their tulip planting activity meeting Tuesday, Feb. 5 at 9 a.m. at the City “Barn” across from the intersection of Touline and Sixth Street. There will not be a regularly scheduled meeting for Wednesday, Feb. 13. This activity is part of the ongoing beautification program for the City of Natchitoches and they will be planting a variety of colorful tulips in pots to be displayed around town. If you would like to participate, wear appropriate clothing for the weather, waterproof shoes or boots and bring your gardening gloves as it will be outside. The Louisiana Master Gardener Program is a volunteer development program offered by the LSU AgCenter. Master Gardeners are highly trained and provide proven, research-based educational programs to Louisiana residents as well as volunteering their time and talents to aid in community beautification projects. For more information or for daily tips on North Louisiana gardening, go to https://www.facebook.com/N achitochesMaster Gardener/.